Mondo Calibre/Companies/Never Burn Your Bridges! Everyday we hear of stories of candidates leaving companies in acrimonious ways. I always get concerned when candidates do not have previous employers as referees. It is very disappointing to see long term, high performing employees leaving companies and in their last few hours departing acrimoniously. The employer often plays a big role in the departure and management of exiting employees and so often simple things like “farewell dos”and exit interviews are forgotten and final remuneration payments for commissions/bonuses etc are delayed. This encourages negative memories and thoughts on behalf of the outgoing employee. It is refreshing when we secure references of candidates who go the extra mile before their exit. One recent reference that I noted as memorable was when the employer noted that the departing employee left such a good handover for the new incumbent that the next 6 months of marketing plans were in place and a successor was appointed with ease into the role. Leaving with dignity can become part of your legacy in your career footprint. So, actively champion the phrase “never burn your bridges” with your employment situations, as you never know when your paths will meet. Actively work as an employer to ensure that departing employees are treated with professionalism and dignity and as an exiting employee, never close the door or burn your bridges. Hand over your responsibilities and unfinished tasks with professionalism and clarity. 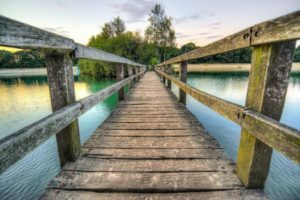 Burning your bridges will really take its toll in your career future!